No, like I REALLY love this bar. I’m actually a huge fan of trap bars in general for a number of reasons. I find the movement to be very natural, from the neutral grip to the efficient lockout. Because the load can generally be heavier on a trap bar, I find it benefits overall leg strength as well, which obviously has a carry over into other main lifts. I also find the bar to be very versatile in that it allows for a variety of different types of movements, from traditional deadlifts all the way to overhead press. I won’t go into all the gory details on why a trap bar is beneficial in this post, but suffice it to say that I think they’re pretty great. How much weight can it hold? Some trap bars aren’t strength rated beyond 500 lbs. Are there high and low handles? Some bars only have one handle height. How’s the knurling? Some are really aggressive, some are really mild, some don’t have any at all. How thick are the handles? Some are thin, some are thick. Are the handles angled or straight? Most handles are straight. Is it rackable? Most are not. How big is the lifting space? Some are tiny, some are large. What’s the loadable sleeve length? Some are quite short, limiting the amount of weight you can load on the bar. How’s the sleeve finish? Is it decorative chrome? Hard chrome? Powder coat? You get the point. The bottom line here is there are several factors to consider and not all trap bars are created equal. With that, I’d like to introduce you to what I think is the best trap bar on the market in terms of practical application, functional capabilities, and overall awesomeness. No email? Check your spam folder just in case. Feel free to email me at adam@garagegymlab.com if you still need help. The name says it all. This bar is functional – really functional actually. Its unique design is different from any trap bar you’ve used in the past. When you take into consideration the build quality and features, it’s not hard to see that this bar belongs in the discussion as the top trap bar. The obvious difference with the Intek bar is that it has an open-ended design. Unlike a traditional trap bar where you’re largely limited to the confines of the enclosure, the Intek allows for quite a bit more freedom when performing various exercises. In fact, your movement catalog is indeed more expansive because of this design element. Now don’t get me wrong, a normal trap bar is still a very versatile piece of equipment. You can perform a number of movements from lower body to upper body. The Intek; however, not only gives you more lifting options, but it also simply improves some of the normal trap bar movements. Take the farmer’s walk for instance. In a normal trap bar, your stride is very much limited to the enclosure. This is not the case with the Intek bar, as your stride can be as big as you want or need it to be. As you can see, variety is the primary distinction here, and it’s one of the biggest benefits of owning this bar. 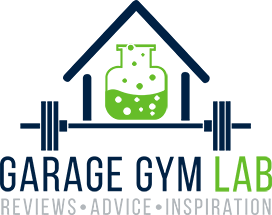 It’s because of this functionality that numerous professional sports teams in the NFL, NBA, and MLB have adopted it into their programming. College sports teams and other top flight functional trainers have also introduced this bar into their strength programs. Here’s a quick video showing some of the things you can do with the bar. This is another area where I think this bar really shines. When you first take hold of the bar, you can tell it’s well made. It’s built with tubular steel like many trap/specialty bars and it has corner gussets for additional strength. I like the fact that it weighs 44 lbs, which is close to a traditional Olympic bar (consistent math for the win). Intek recommends a 600 pound weight capacity, which is on the higher end of most quality trap bars. The Biotest Dead Squat Bar is the highest rated trap bar on the market in that regard, but 600 pounds is very respectable among other options. In looking at the bar, you might think that it would lack balance; however, that isn’t the case at all when it’s in use (it actually feels perfectly balanced). That said, when it’s in a resting position on the floor or in a rack it may have a tendency to lean forward depending on how you put it down. I’ve found this is really only limited to a small amount of weight though. Anything over 135 lbs I’ve found sits parallel and level to the floor. This isn’t a big deal at all regardless, as you can effortlessly bring it back to parallel where it will stay without issue. One of the biggest reasons I bought this bar is that it’s rackable. The bar itself is 84″ long. There is a 6″ section between the gusset and the collar that allows the bar to easily fit on any standard rack. This is especially important if you want to do work that requires some sort of rack or safety. Things like floor presses, overhead presses, rack pulls, etc… are all available to you with this bar (or any rackable trap bar for the matter). The loadable sleeve length is 15″, which, depending on what plates you use, is enough to hit the recommended 600 lb limit with a collar at the end. Speaking of collars, one thing I love about this bar is that the sleeves are 1.96″ in diameter. This means that you can use any collar, whereas on other trap bars with ~1.91″ diameters, you have to use a specialty collar. Another awesome thing about these sleeves… they’re hard chrome (see update #2 at top of review). A common complaint with specialty bars in general is that the powder coating is easily removed when plates slide on and off. The majority of popular rackable trap bar options have powder coated sleeves. Not the Intek. The sleeves look just the way they did when I first unboxed it. That may not be an important factor to everyone, but I personally care the way my bars look, especially over time. I mentioned early in the review a few considerations with regards to handles. The Intek has a design that I really like for a number of reasons. The first and probably most noticeable is that the handles are set at an angle. Depending on which way you’re facing, you could have a slightly pronated grip or a slightly supinated grip. I’ve found this to be rather comfortable on a number of lifts. Take pressing movements for example. A lot of people use a football/swiss bar with angled handles for presses. While not quite as exaggerated, the angle on the Intek handles is similar to those bars. It makes for a comfy press. The second feature that I like is that there are high and low handle options. This is simply not common on a rackable trap bar. Look at the Rogue TB-1 or the Black Widow Training rackable bar for instance. They offer one handle height. In my opinion, this is a huge advantage to owning the Intek functional trap bar. It gives you even more variety to an already versatile bar. In case you’re wondering, the high handle sits about 3.5″ above the center line of the bar. It’s a comfortable height and it makes things like back rows all the easier to get off the ground without having to essentially deadlift the weight up (not that there is anything wrong with deadlifting ever). Thirdly, the handles are basically 28.5mm in diameter, which I find to be really beneficial. I think it strikes a great balance between a 28mm deadlift bar and a 29mm power bar. I personally use a hook grip when deadlifting, and 28.5mm bars just feel great for that. Oh, and I also have fairly small hands. Not Burger King commercial small, but pretty small nonetheless. Lastly, both handles are fully knurled with a center ring for easy spot identification. While I do prefer a more aggressive knurl, I’ve found this bar to be “sticky” without some of the sharpness. It’s not going to shred your hands like the Cap Mega Trap Bar, but it’s absolutely going to provide you a great grip. The center ring is a really nice touch. It actually serves a practical purpose by letting you set up square every time you touch the bar. Again, this is not a common feature on most other popular trap bars. This bar is without question the most versatile and functional trap bar on the market. Construction quality and craftsmanship are very high. The welds are clean with minimal-to-no spatter. At 600 lbs, the bar can hold more weight than most trap bars on the market. It’s rackable, which only adds to its functionality. The sleeves are Olympic sized, which eliminates the need to have to use special collars. This also allows the plates to sit more snug on the sleeves themselves. There are two handle heights, which allows you to play with different elevations and ranges of motion. The handles are angled, which gives you additional functionality and also provides a comfortable position. The handles are ~28.5mm thick, which is a great thickness for movements commonly performed with a trap bar. Knurling isn’t overly aggressive, but it’s still very grippy. The center ring is a useful design element to ensure even and proper setup every time. It’s pretty expensive. I bought this bar early when it was $495. It’s now $595. Having used the bar extensively, I would personally still buy it at the higher amount. I think it’s that good. You have to ask yourself if the additional versatility plus the other benefits listed above are enough to warrant the additional cost over some of the other options. I mentioned balance above. This bar has amazing balance when in use. When it’s on a rack or on the floor; however, it may tip forward given the design. I’m just being nitpicky here, because it’s very easily adjusted with minimal effort. It’s also a nonissue once you have enough weight loaded onto the bar. I think the end caps could be improved. They just don’t have a really high end look or feel. To be fair though, most trap bars don’t even have end caps. To summarize, there just aren’t many negative things to say about this bar. If you’re looking for a trap bar, you value functionality in your training, and you have a bigger budget, this bar is going to be really difficult, if not impossible to beat. I’m not going to sit here and tell you that you need this bar. In my opinion, this is a luxury purchase. But it does serve a practical purpose: it will get you really strong and add a metric crap ton of variety to your programming. If you want to read more about trap bars or powerlifting equipment in general, check out my ultimate guide to building a powerlifting home gym. If you have any questions on this bar or trap bars in general, please leave a comment below. Likewise, if you own this bar and want to chime in on your own thoughts, please do so! As always, I appreciate any feedback. If you found this review useful, please feel free to share it on social media! This bar is simply awesome. It's amazingly versatile and its build quality is top of the line. Give this bar strong consideration if you're in the market for a trap bar. You will not be disappointed. Thanks for the review. They no longer make this bar nor do they accept that coupon. :/ I sent them a few questions about their new modular trap bar. Hey Steve, you’re correct. I will check on the coupon and I’ll also be reviewing the ModF bar soon. I’ll let you know when I do! Has a decent amount of videos too which I like for some reason heh. Price is almost half but I haven’t ordered one yet to test it. Thanks for the review. I keep hurting my back deadlifting so I was hoping a trap bar would give me more luck. Hey Joseph! The Movestrong is definitely an option, but it’s not rackable, which is a drawback. The new Intek ModF bar (formerly the functional trap bar) is going to be really great. Mine should be arriving in a few weeks and I’ll do a whole new review. Thanks for reading and commenting, bud. Trap bars are definitely good at reducing force in the lumbar. 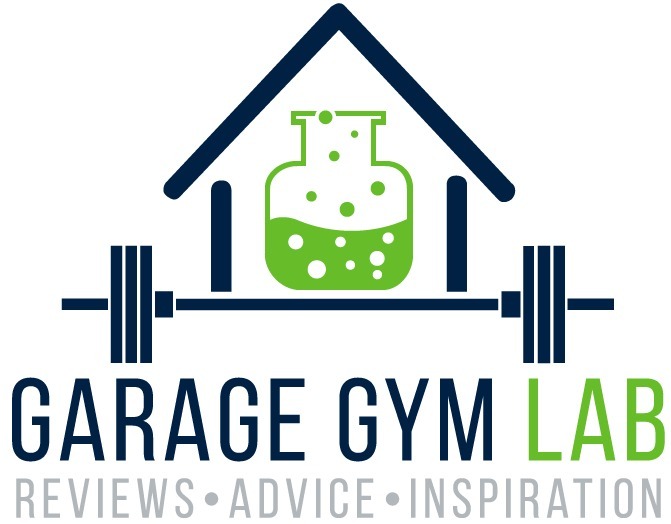 Garage Gym Lab is a site dedicated to providing honest reviews and practical advice. Some posts may contain affiliate links, which will earn me a small commission if you purchase through them. I use these commissions to maintain the site and purchase new equipment in order to provide more content. If you found the information truly helpful, I would greatly appreciate if you purchase through these links. It comes at no additional cost to you. Building a badass home gym isn't as hard as you think! You'll also receive ongoing can't-miss deals, equipment releases, and awesome product reviews.